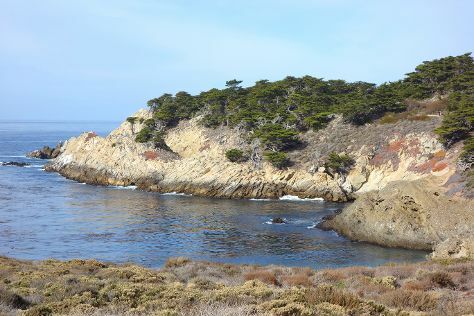 Monterey is a city in the U.S. Start off your visit on the 19th (Wed): kick back and relax at Point Lobos. Take the guesswork out of planning a Monterey vacation by using our trip itinerary maker. Louisville to Monterey is an approximately 8.5-hour flight. You can also do a combination of flight and shuttle; or drive. You'll gain 3 hours traveling from Louisville to Monterey due to the time zone difference. Traveling from Louisville in June, expect Monterey to be slightly colder, temps between 68°F and 53°F. Finish your sightseeing early on the 20th (Thu) to allow enough time to take a bus to Big Sur. On the 21st (Fri), enjoy the sand and surf at Pfeiffer State Beach, admire the sheer force of McWay Falls, and then enjoy the sea views from Point Sur State Historic Park. For other places to visit, reviews, where to stay, and other tourist information, refer to the Big Sur trip planning website . You can take a bus from Monterey to Big Sur in an hour. Alternatively, you can drive. In June, daytime highs in Big Sur are 68°F, while nighttime lows are 53°F. Finish your sightseeing early on the 21st (Fri) so you can drive to San Francisco. 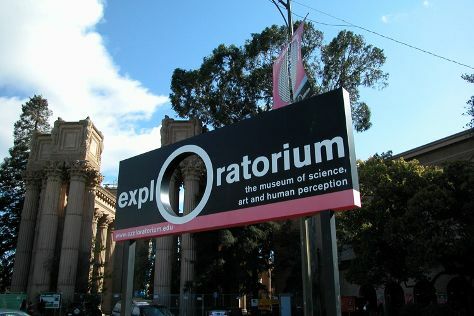 Attractions like Exploratorium and Cable Car Museum make great kid-friendly stops. Next up on the itinerary: take in the views from Golden Gate Bridge, stroll through Crissy Field, take in nature's colorful creations at Japanese Tea Garden, and step off the mainland to explore Alcatraz Island. To find photos, traveler tips, more things to do, and tourist information, refer to the San Francisco trip planner. You can drive from Big Sur to San Francisco in 3 hours. Alternatively, you can do a combination of taxi and flight; or do a combination of taxi and train. June in San Francisco sees daily highs of 71°F and lows of 55°F at night. Finish your sightseeing early on the 24th (Mon) so you can drive to St. Helena. On the 25th (Tue), awaken your taste buds at some of the top wineries in the area. 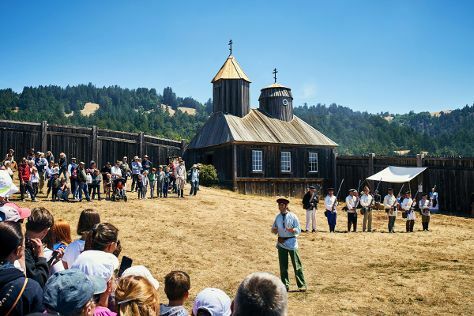 Here are some ideas for day two: learn about winemaking at Anderson's Conn Valley Vineyards, steep yourself in history at Jack London State Historic Park, then admire all the interesting features of Sonoma Plaza, and finally make a trip to Sonoma Barracks. To see reviews, traveler tips, maps, and other tourist information, use the St. Helena sightseeing planning site . You can drive from San Francisco to St. Helena in 1.5 hours. Other options are to do a combination of subway and bus; or take a bus. Expect somewhat warmer weather when traveling from San Francisco in June: highs in St. Helena hover around 83°F, while lows dip to 51°F. Wrap up your sightseeing on the 26th (Wed) early enough to drive to Healdsburg. On the 27th (Thu), explore and take pictures at Fort Ross State Historic Park and then enjoy the sand and surf at Sonoma Coast State Beach. Get ready for a full day of sightseeing on the 28th (Fri): do a tasting at Jordan Vineyard & Winery, then learn about winemaking at Gracianna Winery, and then immerse yourself in nature at Armstrong Redwood State Reserve. For photos, where to stay, ratings, and other tourist information, read our Healdsburg travel route builder tool . Getting from St. Helena to Healdsburg by car takes about an hour. Other options: do a combination of bus and taxi; or do a combination of taxi and bus. In June in Healdsburg, expect temperatures between 83°F during the day and 51°F at night. Wrap up your sightseeing on the 28th (Fri) early enough to travel to Redwood National Park. Start off your visit on the 29th (Sat): explore the striking landscape of Redwood National Park. Keep things going the next day: tour the pleasant surroundings at Trillium Falls Hike and then tour the pleasant surroundings at Enderts Beach. To find ratings, more things to do, other places to visit, and more tourist information, refer to the Redwood National Park online holiday planner . You can drive from Healdsburg to Redwood National Park in 5 hours. Another option is to fly. Traveling from Healdsburg in June, expect nights in Redwood National Park to be about the same, around 49°F, while days are colder, around 63°F. Wrap up your sightseeing on the 30th (Sun) early enough to travel back home.